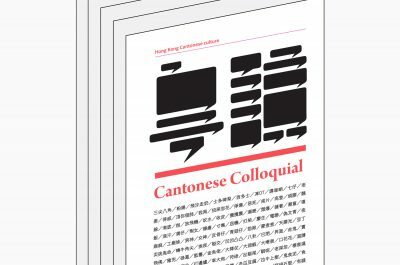 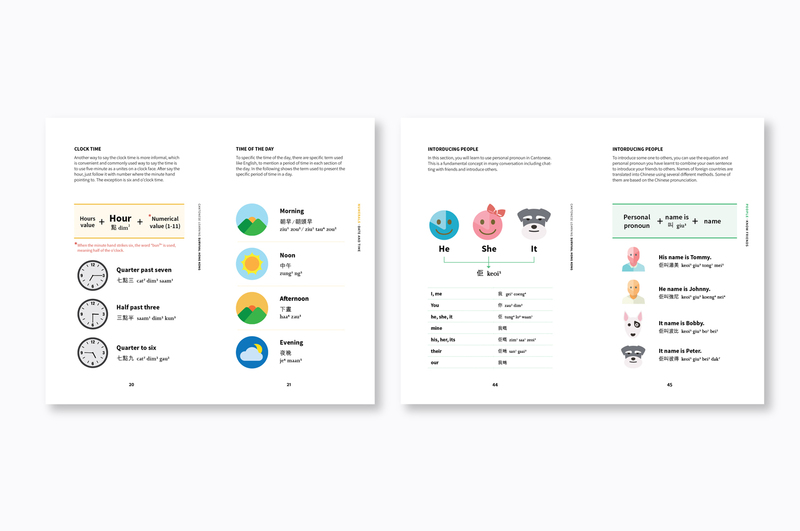 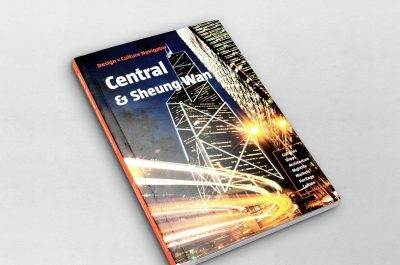 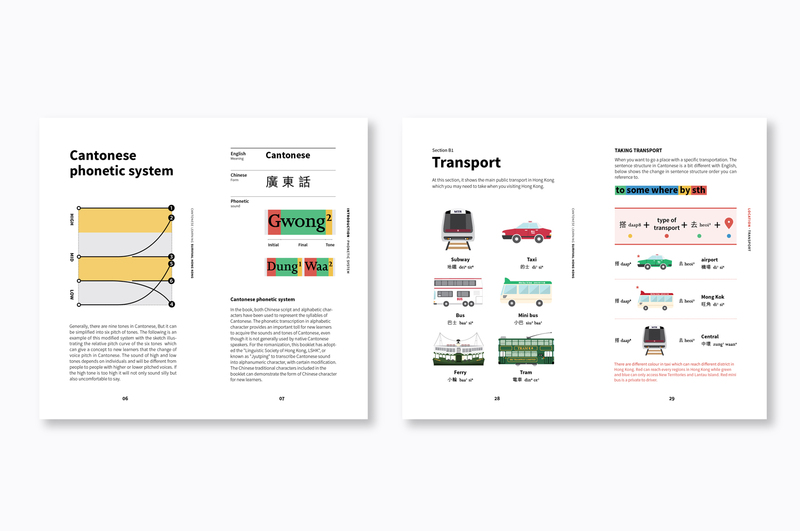 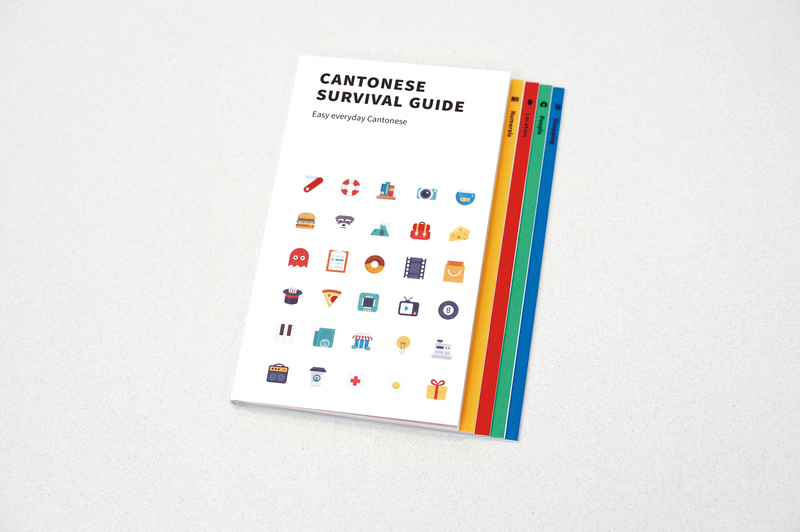 The design direction of this project is designing a booklet encourages non-native speakers learn to speak simple Cantonese when visiting Hong Kong. 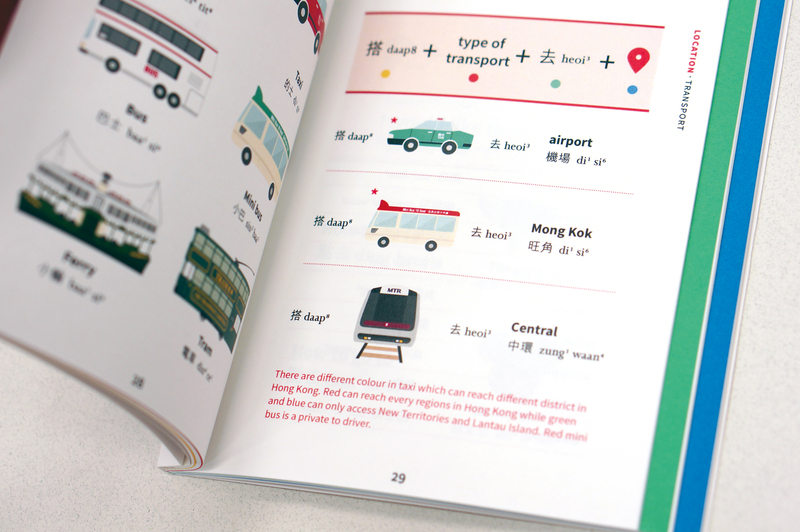 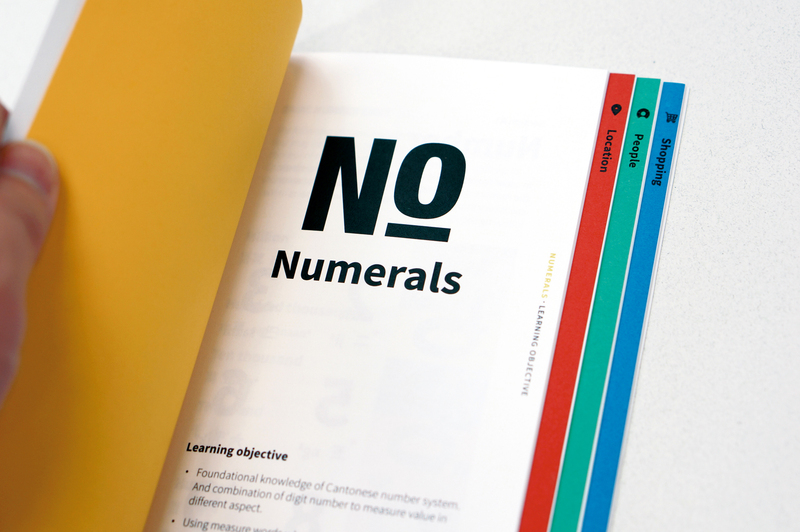 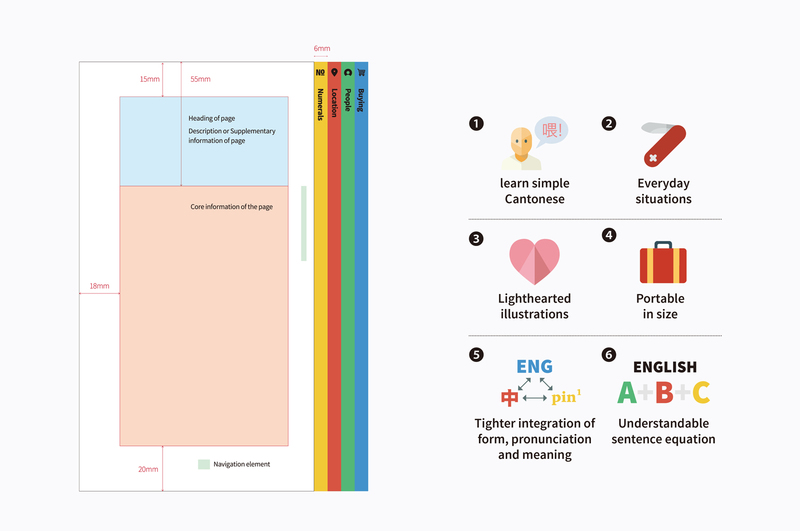 This language-learning book has been designed for every day situations. 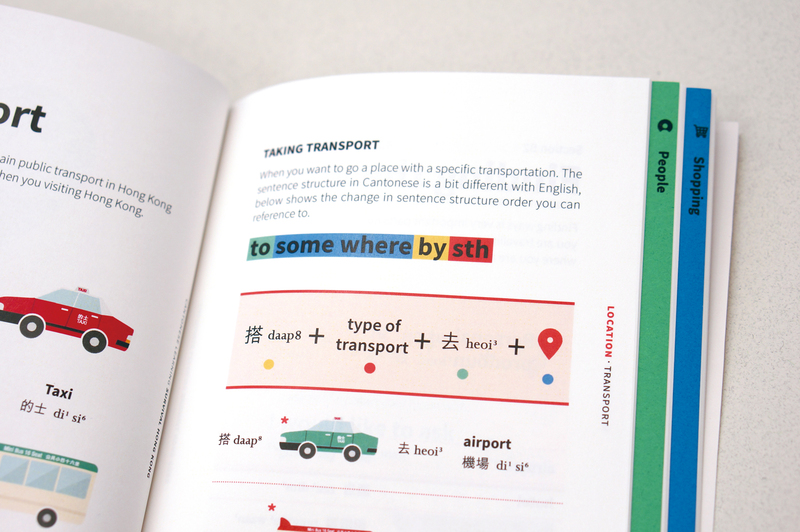 With the use of lighthearted illustrations’ the deconstruction of sentence structures into understandable ‘equation’, as well as a tighter integration of form, pronunciation and meaning. 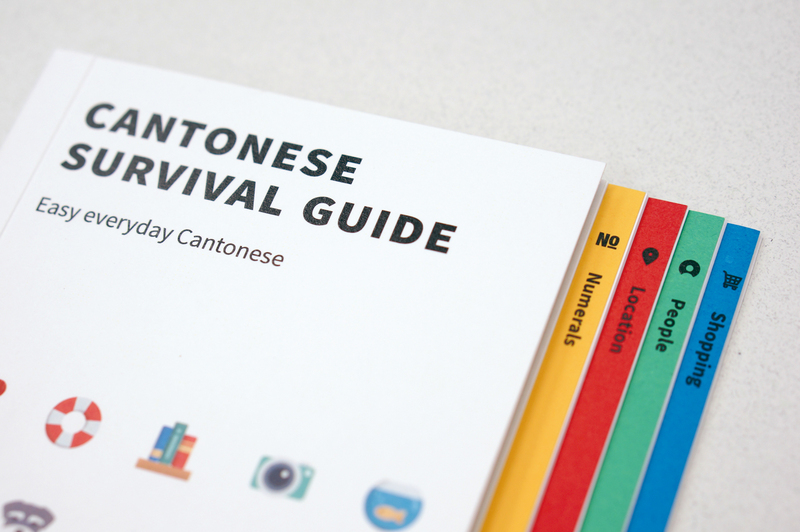 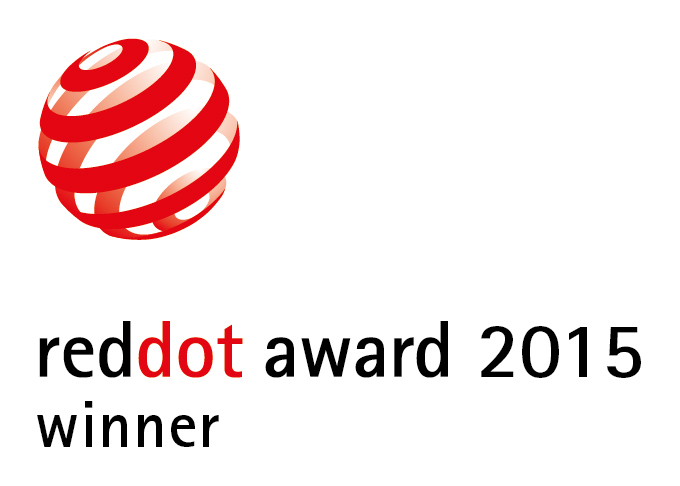 it aims to make learning Cantonese easy and fun for non-native speakers.